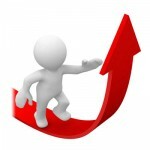 Posted May 11th, 2012 by Frank - TexCom Business Operations & filed under Strategy. 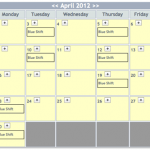 Posted May 3rd, 2012 by Dan - TexCom Technical Operations & filed under How To, Shift Scheduling. In this post we will cover how to setup shift changes which allow for making individual changes such as sick time, vacation time, and trade shifts. 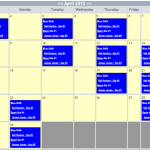 Posted April 25th, 2012 by Dan - TexCom Technical Operations & filed under How To, Shift Scheduling. In this post we will cover how to assign users to our shift or allow your users to sign up for shifts themselves. Within TexCom there are two different ways to assign users. The first is if you have full-time users assigned to the same shift for a period of time, such as a month or longer. The second is to assign users to a specific day and shift. 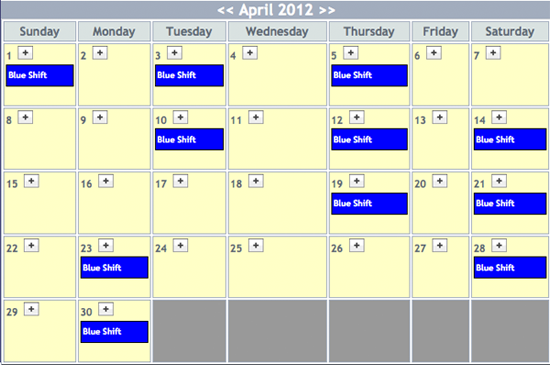 This process is great for fire departments that allow part-time users to pick the days and shifts they want. 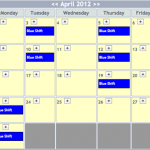 Posted April 23rd, 2012 by Dan - TexCom Technical Operations & filed under How To, Shift Scheduling. In this post we will cover how to define our settings for the shift we made in part 2 which will also enhance the look on the calendar. To start, let’s navigate to the settings for this shift by selecting Shift Schedules in admin and then Settings under the shift you created. 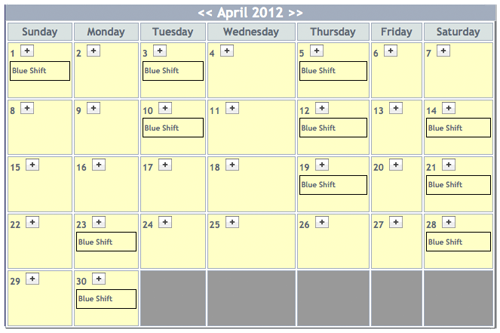 Posted April 13th, 2012 by Dan - TexCom Technical Operations & filed under How To, Shift Scheduling. In this post we will cover how to determine your shift repeating cycle and how to set it up within TexCom. For this example I am going to use a shift cycle that a user commented on in the first post which is the common Kelly shift schedule. 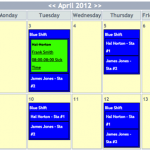 Posted April 11th, 2012 by Dan - TexCom Technical Operations & filed under How To, Shift Scheduling. In this multi-part blog post we will discuss what was one of the most requested features of TexCom: Shift Scheduling. We are happy to offer this as a part of TexCom and at the same time offering it Free to our users. The goal with this series is to help you understand the best practices in setting up your department to use TexCom as your shift scheduling source. Even though we may discuss this at a fire department level, our shift scheduling scheme is commonly used in other areas of public safety such as police, ambulance companies, and any other organization that has a need for schedule rotation. 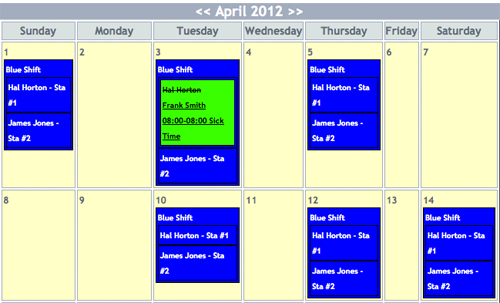 This first part will deal with the basics of how our shift scheduling started and how it is set up within TexCom. New TexCom Blog – News & Updates From the Source! 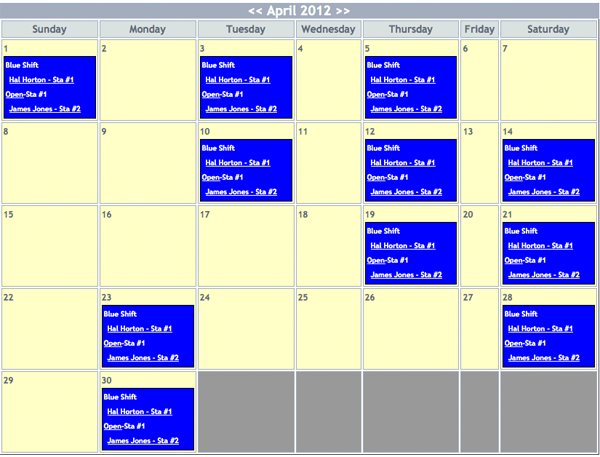 Posted April 7th, 2012 by Dan - TexCom Technical Operations & filed under Website. We are happy to announce the start of the TexCom Blog! This is a place where Frank and I can easily keep you informed on the latest updates and news regarding TexCom. Frank will lead discussion on the Business Operations and I will lead discussions on the Technical Operations of TexCom. Our plans are to cover topics such as TexCom best practices, common support questions, tutorials, FAQs, advertising, and how you can help us grow. There is also a comment area where we welcome comments from anyone.